SOUTH PASADENA — Police arrested a man and recovered lawn mowers and other equipment stolen from a gardening truck early Wednesday, authorities said. The alleged theft took place just after 8:20 a.m. in the 2000 block of Milan Avenue, South Pasadena police Sgt. Brian Solinsky said. A neighbor called police to report seeing to men stealing garden equipment from a truck parked along the street. The passenger of the pickup truck ran to a nearby alley and escaped, the sergeant said. The driver was taken into custody without a fight. The gardening equipment that had been stolen from Milan Avenue was recovered inside the suspects’ truck, he added. The name of the arrested suspect was not immediately available pending the booking process. PASADENA — Police arrested on teenage and sought another after they robbed another young man of his bicycle Tuesday afternoon, officials said. A Pasadena teen was riding his bike about 4:35 p.m. at Mountain Street and Summit Avenue when he was approached by two other teens, Pasadena police Lt. Tom Delgado said. The robbers demanded the victim’s bike, threatening to beat him up if he didn’t comply, Delgago said. The victim handed over his bicycle. “Officers found the individual on the bike not far away,” the lieutenant said. He was arrested after being identified by the victim as one of the robbers. The second suspect was not found, he said. PASADENA — A local transient was behind bars Wednesday, accused of climbing to the 14th floor of a Pasadena office building, smashing windows with a rock and threatening to kill people, police said. Akil Talib Gibson, 40, was booked on suspicion of making criminal threats, burglary and malicious mischief in connection with the incident, which unfolded about 5:40 p.m. Tuesday at an office building at the corner of Lake Avenue and Corson Street, Pasadena police Lt. Tom Delgado said. His motive was unclear when he allegedly headed up to the 14th-floor office and began his strange and threatening behavior, the lieutenant said. There was no indication he specifically targeted the office, which it appeared wandered into the office at random. Police responding and took Gibson into custody without a struggle, Delgado said. No one was injured during the incident. Gibson was being held in lieu of $50,000 bail pending his initial court appearance. 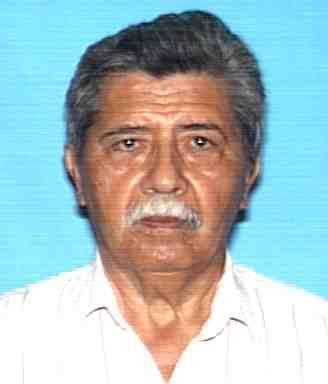 EL MONTE — Police asked the public’s help Sunday in tracking down a 76-year-old man who suffers from Parkinson’s disease who went missing last week. Victor Eusebio Carrera was was last seen about 11 a.m. Tuesday at the Win All EZ Inn, 10024 Valley Blvd., El Monte police officials said in a written statement. He requires several medications, police added. Carrera was described as Latino, 5 feet 9 inches tall and about 170 pounds, with brown hair and brown eyes. Anyone with information was asked to call El Monte police Detective Carlos Molina at 626-258-8643. A man was being held in lieu of $4.3 million bail Sunday in connection the the sexual assault of a woman he met up with in Alhambra last weekend after they became acquainted online, police said. Christian Aceves, 32, was arrested Oct. 21 in connection with the attack, which took place Oct. 19, Alhambra police Sgt. Edward Rodriguez said. “The victim reported she met Mr. Aceves online and agreed to meet him in Alhambra,” Alhambra police officials said in a written statement. But when she met Aceves, he pulled a sharp instrument and threatened her, Rodriguez said. He drove the woman to a secluded spot in Los Angeles where he allegedly sexually assaulted her. 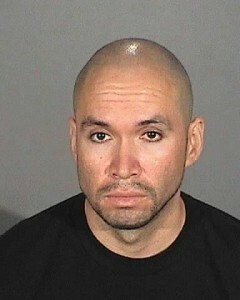 Detectives arrested Aceves shortly before 8 p.m. Oct. 21, according to Los Angeles County booking records. “Detectives believe there may be additional victims of Mr. Aceves that have not yet come forward to report potential crimes,” according to the police statement. Anyone with information was asked to contact Alhambra police Detective huezo at 626-570-5159. Aceves was scheduled to appear in Alhambra Superior Court for a hearing in his case. PHOTO of Christian Aceves courtesy of the Alhambra Police Department. LA HABRA — Coroner’s officials Sunday released the name of a La Habra woman who was struck and killed in a hit-and-run while crossing Whittier Boulevard Friday. Sandra Ceballos, 38, died at at hospital shortly she was struck by a Cadillac sedan as she was crossing Whittier Boulevard at RIgsby Street about 9 p.m. Friday, Los Angeles County Department of Coroner Lt. Cheyl MacWillie said. Another woman in her 30s who was with Ceballos was also struck by the car and hospitalized with non-life-threatening injuries, La Habra police Sgt. Clint Angle said. Caroline Kim, 20, of Hacienda Heights was arrested by Whittier police after leading officers on a pursuit that ended when she crashed into a parked car at Countrywood Avenue and Pepper Brook Way in Hacienda Heights, according to Whittier police Lt. Steve Dean. She was expected to be booked on suspicion of hit-and-run, evading police and vehiclular manslaughter once released from a hospital, where she was being treated for injuries suffered in the crash. PASADENA — An elderly man was robbed of a gold necklace and a bag while waking near Fair Oaks Avenue and Orange Grove Boulevard early Sunday, officials said. The victim, a 76-year-old Pasadena residents, was walking shortly before 5 a.m. when he was approached by a robber, who engaged him in conversation, Pasadena police Lt. Jason Clawson said. “As the victim tried to walk away,the suspect walked behind the victim and grabbed a gold chain that was around his neck,” Clawson said. The robber also snatched an empty nylon bag the victim had been carrying. Police described the robber as a black man, about 5 feet 6 inches tall, with black hair and brown eyes. He wore a black jacket and black pants. He was last seen running north on Fair Oaks Boulevard toward Painter Avenue. A shooter or shooters unleashed a barrage of bullets in a Pasadena neighborhood late Saturday, injuring two women and striking three houses, police said. The attempted murder took place about 9:20 p.m. on Marengo Avenue, just north of Orange Grove Boulevard, Pasadena police Lt. Jason Clawson said. A 29-year-old Pomona woman was sitting in a car with her boyfriend, a 31-year-old Pasadena man, prior to the attack, Clawson said. The car was pulled over along the curb and the engine was running. The car was struck several times, and the woman inside was wounded in the arm, Clawson said. The boyfriend drove her to an area hospital, where she was treated for an injury not considered life-threatening. Another woman who happened to be walking down the street also suffered a superficial graze wound to her arm, Clawson said. She was treated at the scene by paramedics and did not require hospitalization. Also struck by the gunfire were three nearby homes, though no one inside was injured, the lieutenant said. No suspect description was available in the shooting, he added, which was being investigated as possibly gang-related. A tanker trunk burst into flames on the 710 Freeway in Commerce, injuring two people, destroying a total of seven vehicles and forcing the closure of all southbound lanes, authorities said. The incident was first reported at 9:37 a.m. as a double-wide tanker trunk that had tipped onto its side and caught fire on the southbound 710 Freeway, at the Washington Boulevard overpass, according to California Highway Patrol logs. It was not initially clear if any other vehicles were involved in the crash. Firefighters arrived to find the flaming truck “hanging over the side of the freeway,” Los Angeles County Fire Department Inspector Brian Jordan said. The tanker fire quickly grew to massive proportions, prompting authorities to evacuate nearby homes as a precaution. No homes caught fire, however the burning tanker truck and crude oil that spilled out of it set six other vehicles on fire on Washington Boulevard below the freeway, Jordan said. They included five passenger vehicles and one commercial truck. Both directions of Washington Boulevard became covered with burning oil. Though CHP logs indicated the tanker truck driver, a man in his 30s, was feared burned and seriously injured, he was ultimately taken to a hospital with injuries described as minor to moderate, Jordan said. Another man who was also in his 30s who had been walking near scene when the fiery crash occurred was hospitalized for minor to moderate injuries, Jordan added. The type of injuries the man suffered was not clear. Caltrans officials were summoned to the scene to inspect the overpass to see if it had been compromised by the fire, CHP Officer Monica Posada said. The northbound lanes of the 710 Freeway near the crash scene was shut down for about an hour following the fire, Posada said. The southbound lanes were expected to remain closed well into the afternoon. Officers from the East Los Angeles office of the CHP were handling the investigation. DUARTE — A man suffered two gunshot wounds but was expected to survive following an early-morning shooting in a residential neighborhood in Duarte Sunday, officials said. Deputies responded to a report of gunshots about 2 a.m. when they found a 22-year-old man wounded in the 900 block of Lewiston Street, Los Angeles County sheriff’s Lt. Iganacio Somoano said. The man was taken to Huntington Hospital in Pasadena where he was being treated for injuries not believed to be life-threatening, the lieutenant said. Two men were seen in the area at the time of the shooting, however deputies were still investigating whether they were involved, Somoano said. No shooter description was available. The motive in the shooting was unclear, however there was no indication the wounded man had gang ties, he added.